Plaque is printed on a HD Plate, accented with metal trim and mounted on a rosewood piano glossy wood board. 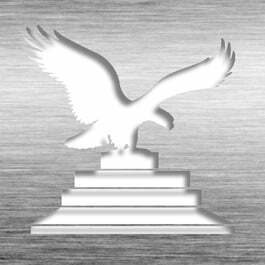 Presentation plates are fully customizable to accommodate your award message or logo specifics. This Patent Plaque - Rosewood Double Presentation RD-EZ20P is part of our Presentation Series of products, check out other products & options available in the Presentation Series of our selection. 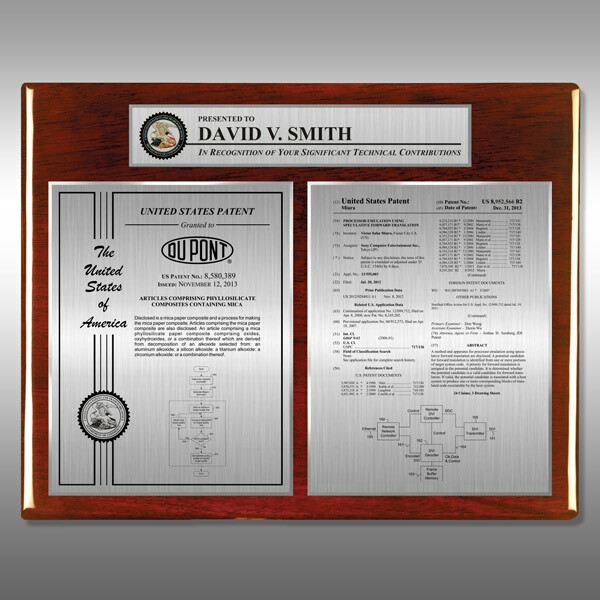 This Patent Plaque - Rosewood Double Presentation RD-EZ20P can be modified to your requirements and is available for your corporate award programs.